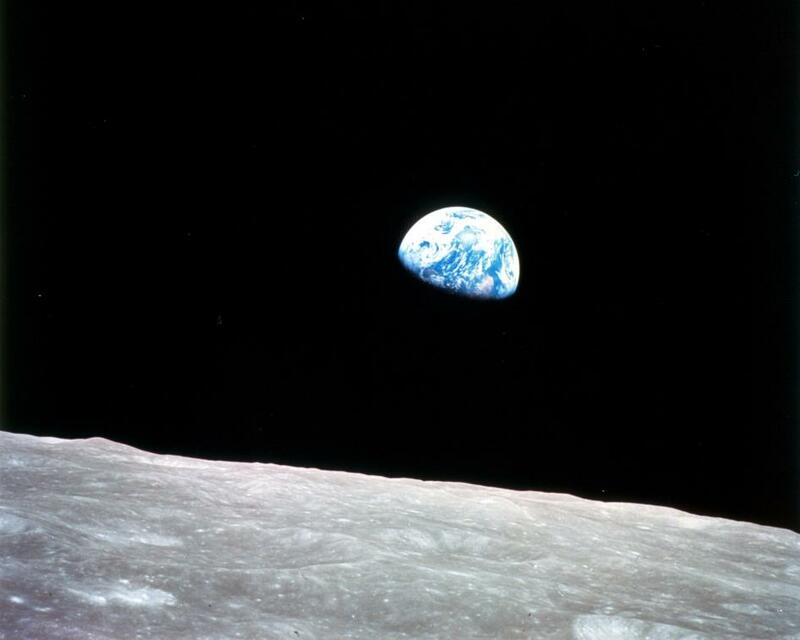 Quoting from another report: ‘Data from the Apollo missions had already revealed that the moon’s sunlit surface can climb to 260 degrees Fahrenheit (127 degrees Celsius) during the day, and drop to minus 280 F (minus 173 C) at night. But all of that data comes from the side of the moon that faces Earth.’ They think the answer to the mystery lies in the soil, which might raise other questions about the rotating sphere with no ‘sides’ that the lander is on. China’s lunar lander has woken from a freezing fortnight-long hibernation to find night-time temperatures on the moon’s dark side are colder than previously thought, the national space agency said Thursday. The Chang’e-4 probe—named after a Chinese moon goddess—made the first ever soft landing on the far side of the moon on January 3, a major step in China’s ambitions to become a space superpower, says Phys.org. 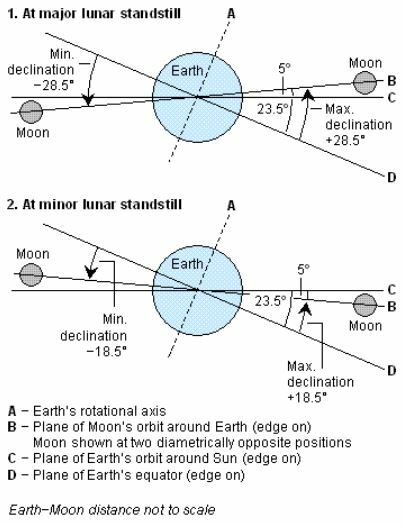 Lunar ephemeris data is used to find the times when the Perigee of the lunar orbit points directly toward or away from the Sun, at times when the Earth is located at one of its solstices or equinoxes, for the period from 1993 to 2528 A.D. 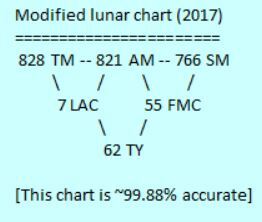 The precision of these lunar alignments is expressed in the form of a lunar alignment index (ϕ). When a plot is made of ϕ, in a frame-of-reference that is fixed with respect to the Perihelion of the Earth’s orbit, distinct periodicities are seen at 28.75, 31.0, 88.5 (Gleissberg Cycle), 148.25, and 208.0 years (de Vries Cycle). The full significance of the 208.0-year repetition pattern in ϕ only becomes apparent when these periodicities are compared to those observed in the spectra for two proxy time series. The first is the amplitude spectrum of the maximum daytime temperatures (Tm ) on the Southern Colorado Plateau for the period from 266 BC to 1997 AD. The second is the Fourier spectrum of the solar modulation potential (ϕm) over the last 9400 years. A comparison between these three spectra shows that of the nine most prominent periods seen in ϕ, eight have matching peaks in the spectrum of ϕm, and seven have matching peaks in the spectrum of Tm. This strongly supports the contention that all three of these phenomena are related to one another. A heuristic Luni-Solar climate model is developed in order to explain the connections between ϕ, Tm and ϕm. The waves in the upper atmosphere are similar to the V-shaped waves left behind by a ship moving through water, reports The IB Times. The 21 August total solar eclipse that overshadowed the entire stretch from Oregon to South Carolina, not only offered some mind-boggling views, but also left a weird effect on Earth’s atmosphere. The event created heat-energy ripples or “bow waves”, something akin to the V-shaped waves left behind by a ship moving through water, in Earth’s upper atmosphere, Gizmodo reports. This started as a search for a period when the Sun and the Moon would both complete a whole number of rotations. Taking these as equivalent, we have 197-183 = 14 ‘beats’. So the beat period of the two rotations is 44/45ths of a year, i.e. the difference in number of rotations is exactly 1 in that length of time. Jupiter-Saturn axial period (J+S) is 8.456146 years. This cycle of solar and lunar sidereal rotation (SRC) sits at the mid-point of the Phi²:1 ratio between the J+S axial period and the mean solar Hale cycle, i.e. with a Phi ratio to one and inverse Phi to the other. In a period of 616 years there are 45 SRC. The period is 44 * 14 years = 45 SRC = 45 * 14 beats. SRC * (45/44) = 14 years. 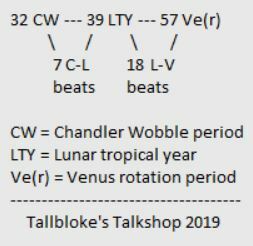 Every 44 years there will be exactly one less lunar rotation (sidereal month) than the number of Carrington rotations. The beat period of the tropical month and solar sidereal rotation * 45/44 = the anomalistic year. Richard C. Carrington determined the solar rotation rate by watching low-latitude sunspots in the 1850s. He defined a fixed solar coordinate system that rotates in a sidereal frame exactly once every 25.38 days (Carrington, Observations of the Spots on the Sun, 1863, p 221, 244). The synodic rotation rate varies a little during the year because of the eccentricity of the Earth’s orbit; the mean synodic value is about 27.2753 days. — The standard meridian on the sun is defined to be the meridian that passed through the ascending node of the sun’s equator on 1 January 1854 at 1200 UTC and is calculated for the present day by assuming a uniform sidereal period of rotation of 25.38 days (synodic rotation period of 27.2753 days, Carrington rotation). The sidereal month is the time between maximum elevations of a fixed star as seen from the Moon. In 1994-1998, it was 27.321662 days. Cassini maintains its reputation for surprises right to the end. It’s the ‘moon resonances’ that maintain ring stability, but with a new twist. 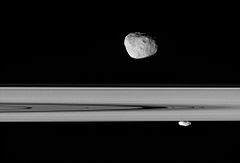 For three decades, astronomers thought that only Saturn’s moon Janus confined the planet’s A ring – the largest and farthest of the visible rings. But after poring over NASA’s Cassini mission data, Cornell astronomers now conclude that the teamwork of seven moons keeps this ring corralled, as Phys.org explains. Without forces to hold the A ring in check, the ring would keep spreading out and ultimately disappear. Researchers aim to find out. It’s an interesting question as ‘our Moon’s average visual albedo is 0.12’, similar to soil or asphalt, and yet songwriters can describe ‘the light of the silvery Moon’. The “inconstant moon,” as Shakespeare called it in Romeo and Juliet, is more reliable than his pair of star-crossed lovers might have thought, says Phys.org. Now researchers at the National Institute of Standards and Technology (NIST) plan to make the moon even more reliable with a new project to measure its brightness. In reality, 55 FMC = just over 62 TY and 7 LAC = just short of 62 TY. For every 7 apsidal cycles (LAC), there are 766 synodic months (both chart versions). For every 104 apsidal cycles, all numbers except SM slip by -1 from being multiples of 104. So after 7*104 LAC all the other totals except SM are ‘reduced’ by 7 each. If the period had been 6448 TY it would not have been a whole number of Metonic cycles. Also 6441 * 4 TY (25764) is exactly one year more than 25763 synodic years i.e. 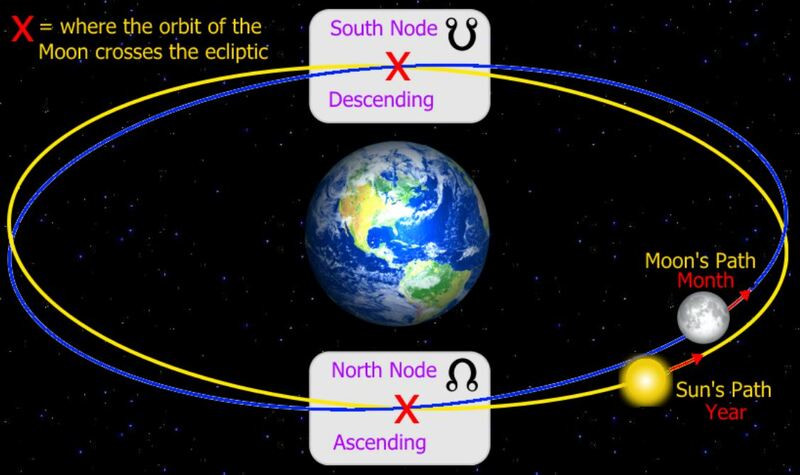 the precession cycle, by definition. 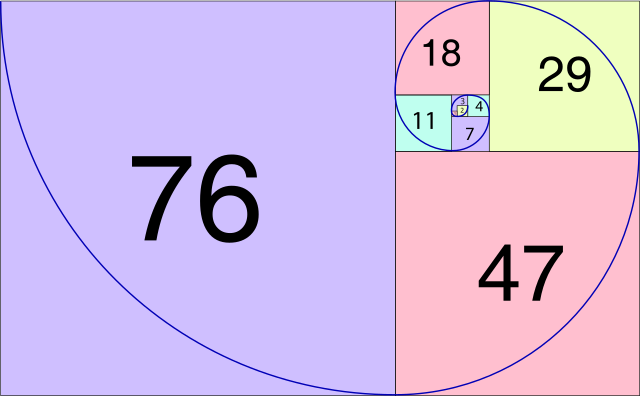 Fibonacci: 104 is 13*8, and the modified FMC number is 55 (all Fibonacci numbers). 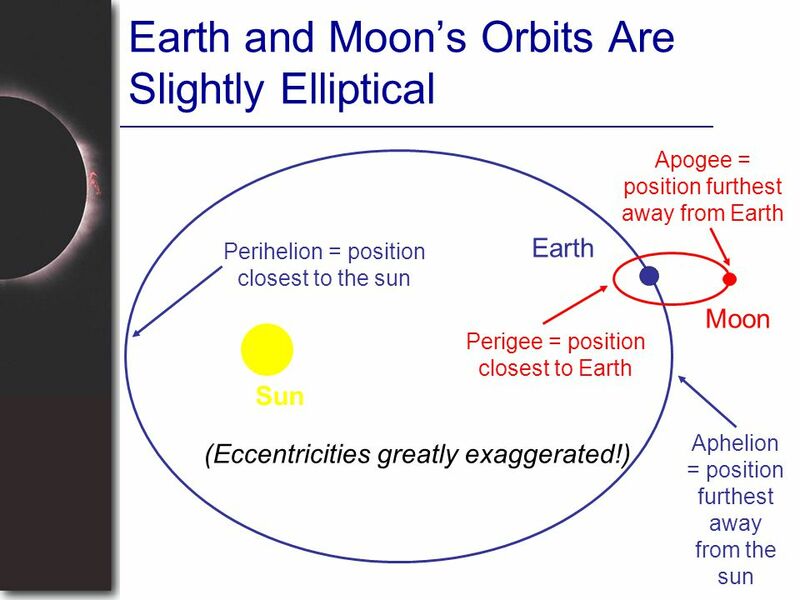 Phi: we’ve explained elsewhere that the number of full moon cycles in one lunar apsidal cycle is very close to 3*Phi². Only to be be expected, but the great American eclipse was a massive internet hit, as the daily sun [sic] reports. The total solar eclipse of August 21 attracted more traffic to NASA websites than any other event on record, according to data revealed by the US space agency, reports Ians. “With more than 90 million page views on nasa.gov and eclipse2017.nasa.gov, we topped our previous web traffic record about seven times over,” NASA officials wrote. It was one of the biggest internet events in recent history and by far the biggest online event NASA has ever measured. “We estimate more than 40 million views of our live broadcast on nasa.gov and multiple social platforms,” NASA said. They admit that “The exact origin of water in the lunar interior is still a big question”, as Phys.org reports. 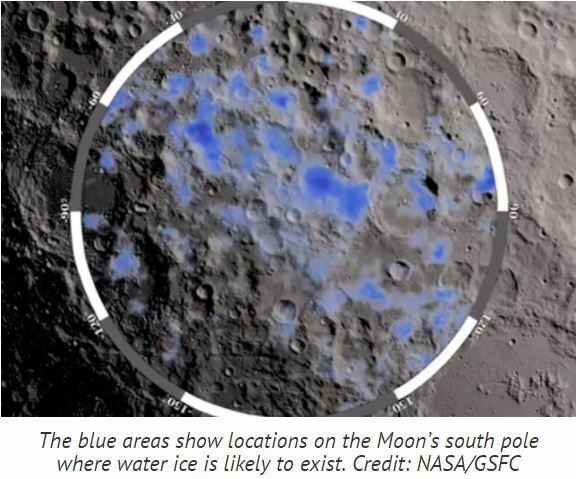 The article also points out that ‘The idea that the interior of the Moon is water-rich raises interesting questions about the Moon’s formation.’ Perhaps they are suggesting that some prevailing theories might no longer…er…hold water. A new study of satellite data finds that numerous volcanic deposits distributed across the surface of the Moon contain unusually high amounts of trapped water compared with surrounding terrains. The finding of water in these ancient deposits, which are believed to consist of glass beads formed by the explosive eruption of magma coming from the deep lunar interior, bolsters the idea that the lunar mantle is surprisingly water-rich. Scientists had assumed for years that the interior of the Moon had been largely depleted of water and other volatile compounds. 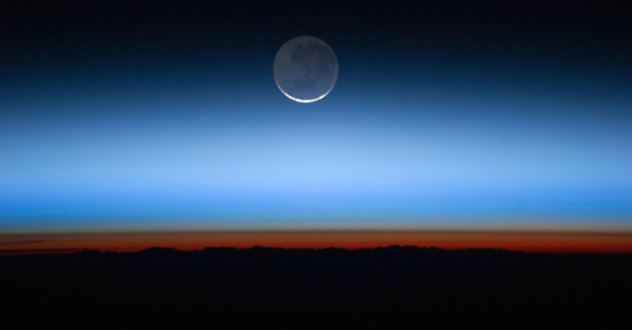 More than a year after “Part II” of a guest post from Talkshop contributor ‘Galloping Camel’ on the Moon’s equatorial temperature here is “Part III”. Peter actually sent this to Tim Channon last year, but Tim became to ill to deal with it and forgot to throw it my way. In current discussion of Ned and Karl’s new paper, the issue of planetary surface temperature variation due to speed of rotation arose. Ned thinks it makes no difference. Peter’s model says it does, so now is a good time for discussion, as this impacts theoretical estimates for the temperature of ‘Earth with no atmosphere’. It has been claimed that the GHE (Greenhouse Effect) is 33 Kelvin because the Earth’s average temperature is 288 K compared to a temperature of 255 K assumed for an “Airless Earth”. The Diviner LRO showed that the Moon’s average temperature is 197.3 K which makes one wonder how an estimate based on impeccable mathematics could be so wrong? Vasavada et al. published a paper in 2012 that mentioned a one-dimensional model of the Moon’s regolith. As I was unable to obtain details of this model I attempted to replicate it using Quickfield, a powerful FEA (Finite Element Analysis) program. Results obtained using my model were published here. This is about the ‘no-name’ dwarf planet 2007 OR10, which has the unusual property of being 3 times further from the Sun at aphelion (furthest) than at perihelion (nearest). Everybody gets a moon! With the discovery of a small moon orbiting the third-largest dwarf planet, all the large objects that orbit beyond Neptune now have satellites, reports New Scientist. 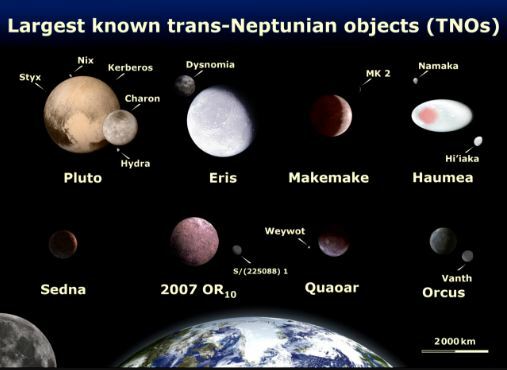 Trans-Neptunian objects (TNOs) spend most or all of their orbits beyond Neptune. Last April, the dwarf planet Makemake became the ninth of the ten TNOs with diameters near or above 1,000 kilometres known to have a moon. So when dwarf planet 2007 OR10 was found to be rotating more slowly than expected, it was suspected that a moon might be the culprit. A team of researchers affiliated with several institutions in Japan, examining data from that country’s moon-orbiting Kaguya spacecraft, has found evidence of oxygen from Earth’s atmosphere making its way to the surface of the moon for a few days every month, reports Phys.org. In their paper published in the journal Nature Astronomy, the researchers describe what data from the spacecraft revealed. It seems that there’s always another Moon theory, or variation of an existing one, in the pipeline and here’s one of the newest contenders. 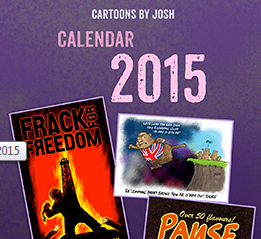 Each seems to have its own issues though. 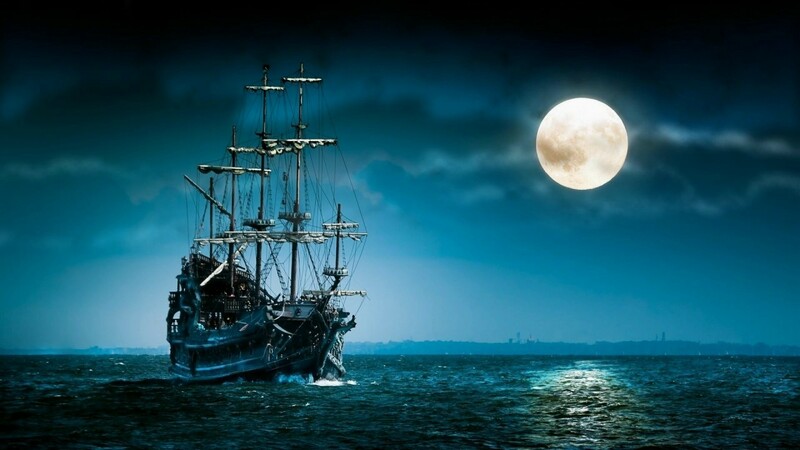 The most widely accepted theory about how the Moon formed has been challenged, with scientists saying a series of large impacts – rather than one giant collision – created our natural satellite, reports the IB Times. By running numerical simulations, researchers say the Earth being hit by several large planetary bodies would help explain why our planet and the Moon are largely composed of the same material – a problem that has plagued scientists for decades. 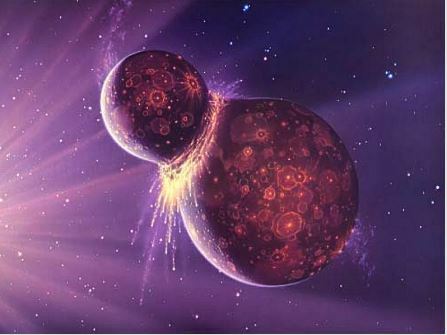 The giant impact Moon formation theory was first proposed in the mid-1970s. 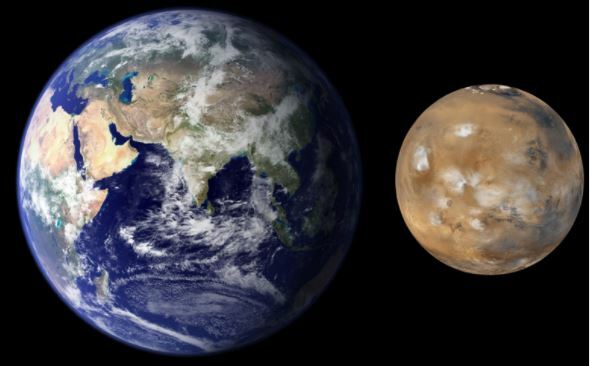 It says a Mars-sized protoplanet called Theia smashed into Earth around 4.5 billion years ago. The ejected material created a disk of debris, molten rock and gas that eventually condensed to form the Moon. However, there is a big problem with this theory. 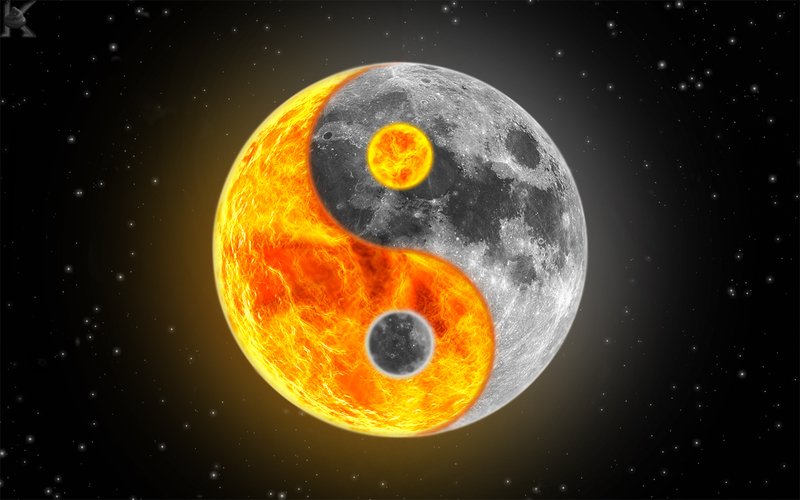 If it was correct, the Moon’s composition should be a mix of both Earth and Theia. For this to happen, Theia would have had to be almost identical to Earth in terms of its composition, which is highly unlikely. 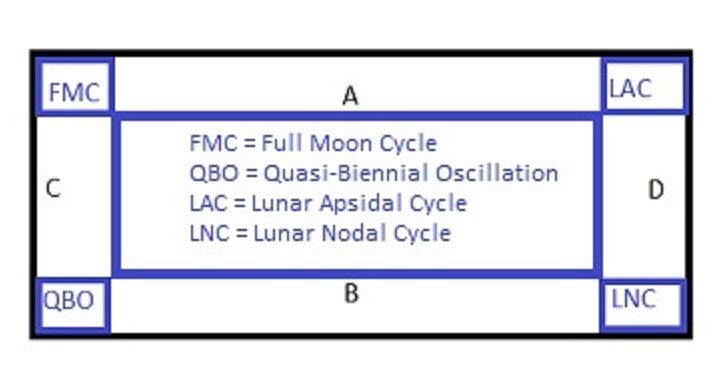 The idea of this post is to try and show that the lunar apsidal and nodal cycles contain similar frequencies, one with the full moon cycle and the other with the quasi-biennial oscillation. The QBO period is an assumption (see Footnote below) but the others can be calculated.